The Men's World Cup 2012 took place in Liverpool, England. But who qualified for this prestigious table tennis event? The World Cup is an invitational event for 19 of the World's top players. The men and women have separate events, so let's take a look at the 2012 events. Liverpool, England - world famous for being the home of The Beatles - hosted the 2012 Liebherr Men's World Cup Table Tennis event at the Liverpool Echo Arena from 28-30 September. This was the first major table tennis tournament after the 2012 Olympic Games in London and there was some fantastic table tennis on show at the Liverpool Echo Arena competing for a US$ 150,000 prize fund. The Women's World Cup 2012 was held in Huangshi, China from 21-23 September, but I'll be concentrating on the Men's World Cup here. So who will take part in 2012? The table tennis World Cup was originally for 16 invited players only, but a new format was introduced in 2009. The rules state that not more than two players from any Association can participate unless a third is invited as a "wild card" selection. In 2011, the Men's World Cup was won by China's Zhang Jike. The German manufacturer DONIC was the table sponsor and supplier for the LIEBHERR Men's World Cup 2012, having extended their sponsorship of this prestigious event for a further three years, taking it to 2015. "The ITTF is extremely pleased that DONIC took the initiative and requested an extension to the sponsorship as the table supplier for the Men's World Cup. This was received with open arms by the ITTF, as we look for a long term partnership with DONIC and innovative table designs. 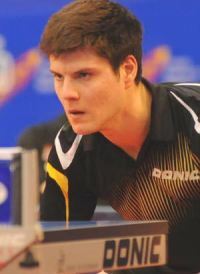 It goes without saying that DONIC provides "state-of-the-art" tables for this prestigious ITTF World Title event." 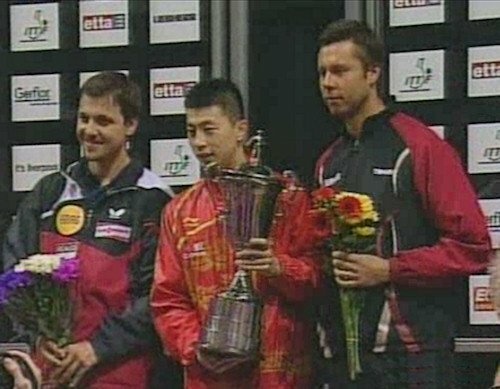 "The Men's World Cup is one of the most important and image enhancing tournaments on the world table tennis circuit. We are very pleased that the ITTF has confidence in our brand and has agreed to prolong the agreement as the table supplier for the Men's World Cup. As table supplier at various European Championships, 2012 in Denmark and 2013 in Austria, it is very important for DONIC, as one of the most renowned brands world-wide, to be also present at ITTF world events. The Echo Arena opened in January 2008 and sits alongside the Grade I listed Albert Dock complex and World Heritage Site on the eastern bank of the river Mersey, in the heart of Liverpool city centre. It's an 11,000 seat arena and is joined to the BT Convention Centre by a central Galleria, making it unique as the only arena and convention centre under one roof in Europe. The Echo Arena has hosted a string of international events, including the MTV Europe Music Awards, BBC Sports Personality of the Year, Davis Cup tennis, the MOBO Awards and Channel 4's primetime show Famous and fearless, plus concert performances from Elton John, Bob Dylan, Lady GaGa, Oasis and Beyonce. "To host an event of this calibre at Echo Arena is a fantastic coup for the city. There are many sporting contests to look forward to beyond the summer Olympics and outside of London and the Men's World Cup Table Tennis will be a highlight on the calendar." The World Cup holder and reigning World Champion, Zhang Jike, did not take part, so two additional places were awarded to the next two highest ranked players on the World Ranking list. So what prize money was on offer? The competition started with the "Intercontinental Cup" - a pre-qualification round. So, four continental representatives - from Africa, Latin America, North America and Oceania - competed in one group, with the winner of the "Intercontinental Cup" qualifing for the next stage of the event, joining the other 15 players. The remaining 16 players were then seeded into four groups. Each player competed against the other three players in his group and matches were the best of seven sets. The winner and runner-up of each group then advanced to the quarter finals whereupon the competition was a straight knock-out, best of seven sets.